The latest Eurobarometer report on the Social Climate in Europe suggests, once again, that the laws of economics stop at Hollyhead. 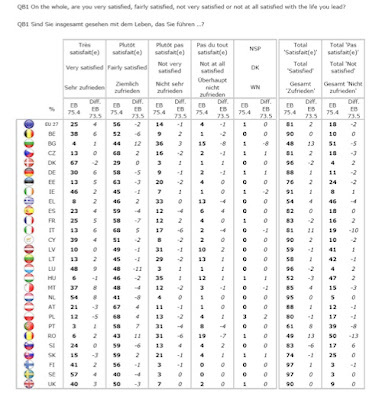 The survey asked respondents throughout the EU for their opinions on the state of their country's economy, unemployment, inflation, health services etc etc. 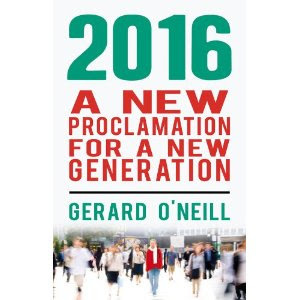 On many of the scores Ireland scored last or in the bottom four or five out of 27 countries for satisfaction with the state of their nation. But when asked about their satisfaction with the life they lead right now, the Irish scored the 6th highest in Europe! 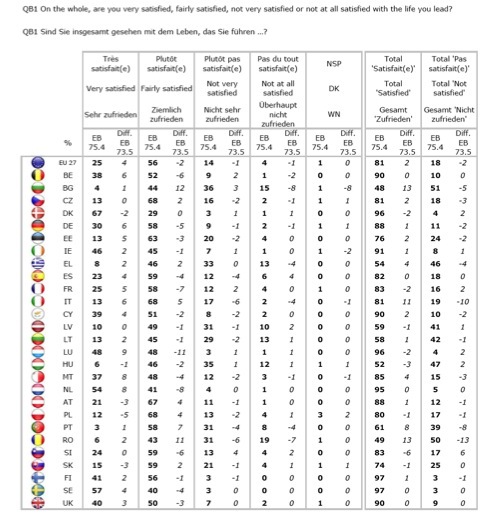 Indeed, as the table below shows, almost half - 46% - of all Irish people said they were 'very satisfied' with life right now. Of course, we're not alone in that regard: Angus Deaton recently reported that measures of the subjective well-being of Americans are more vulnerable to questions about politicians than about the economy. Or suffer from a predisposition to not wish to be seen to be unhappy. For example the recurring theme of the suicide funeral with a commenter saying "Sure didn't I see him last week and he was in great form?"